American country music duo Sugarland are set to make their UK debut with the release of their album ‘The Incredible Machine’ on 7th February. The album, which is the fourth from the group, was released in the US last October and went straight into the Billboard 200 at Number One. ‘The Incredible Machine’ has since gone platinum with over 800,000 sales in the US. Since their formation in 2002, Sugarland have sold over eight-million albums in the US and have won numerous country music awards. At the 51st Grammy Awards ceremony in 2009, the duo won two awards including Best Country Song for the single ‘Stay’, which was taken from their 2006 album ‘Enjoy the Ride’. Also in 2009, Sugarland played their first-ever European tour, which included dates at London’s O2 Shepherds Bush Empire and the O2 ABC in Glasgow. 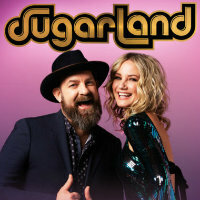 American country duo Sugarland’s lawyers have released a new statement which has suggested that the injuries caused by the tragic stage collapse incident which occurred at the Indiana State Fair last August are the fault of the fans themselves and have nothing to do with the band. Sugarland have revealed how they were saved by their tour manager following the horrific events on Sunday which left five dead and countless injured. Five people have died following horrifying scenes at a Sugarland concert in Indianapolis on Saturday, after the stage collapsed following strong winds.